Jeffrey Lord tweeted "Sieg Heil" in response to an exchange with the head of Media Matters for America. He later said his comment had been misunderstood and that he was mocking fascists. A CNN spokesperson said in a statement: "Nazi salutes are indefensible. Jeffrey Lord is no longer with the network." 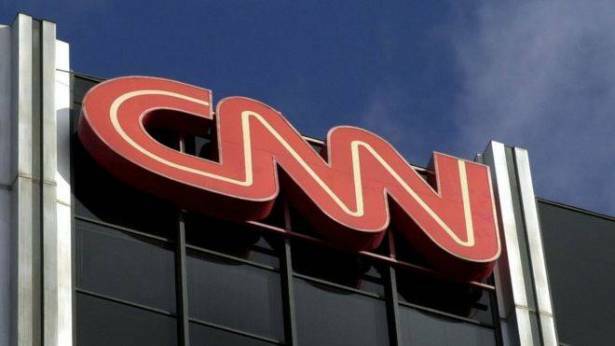 CNN described Mr Lord as one of its best known commentators and the first explicitly pro-Trump commentator to join the network. Mr Lord has regularly sparred with Angelo Carusone, president of Media Matters for America. Things came to a head on Thursday when Mr Lord tweeted at Mr Carusone, linking to a column he had written describing the group as "Media Matters Fascists, the anti-free speech bigots". Mr Carusone, whose name had been misspelt as "Corusone" in the headline, responded: "Your headline has a mistake in it. Why do you expect anyone to take you seriously when you don't take yourself seriously." Mr Lord responded with: "Sieg Heil!" He later defended his actions, saying he was mocking Nazis and fascists, and criticised CNN's decision to sever ties with him. "I feel they are caving to bullies here," he said in a telephone interview.